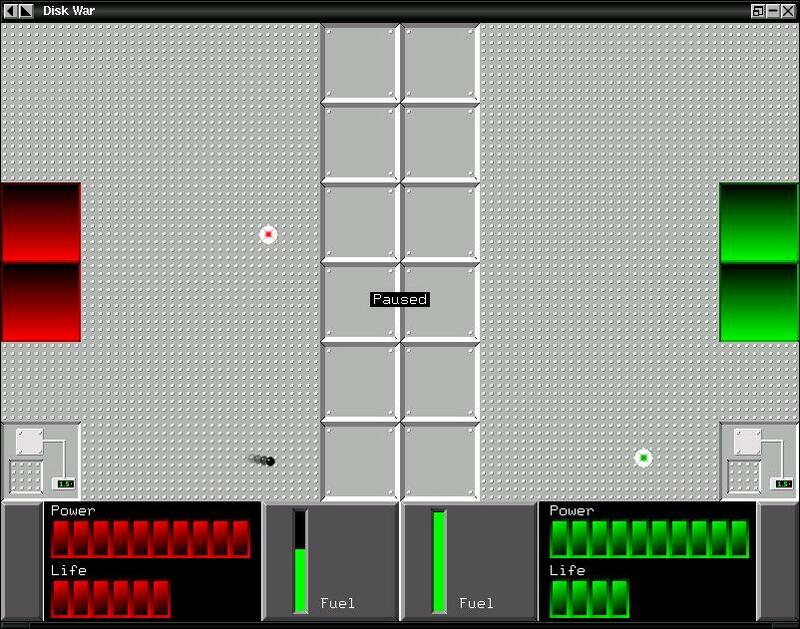 Disk War is a game I wrote in my free time. It's still not complete (I don't know if I'll ever finish it), but there's enough to play. It needs the SDL libraries. I've only tested it on Linux, but it *should* compile on every *NIX. A monitor resolution of at least 800x600 is suggested. Disk War is under GNU GPL License, so you can freely download and use it. Here you can find a screenshot.